After 12 months of hard work we are extremely proud to announce that we have just performed the RAF Red Arrows 50th Anniversary fireworks display 2014. 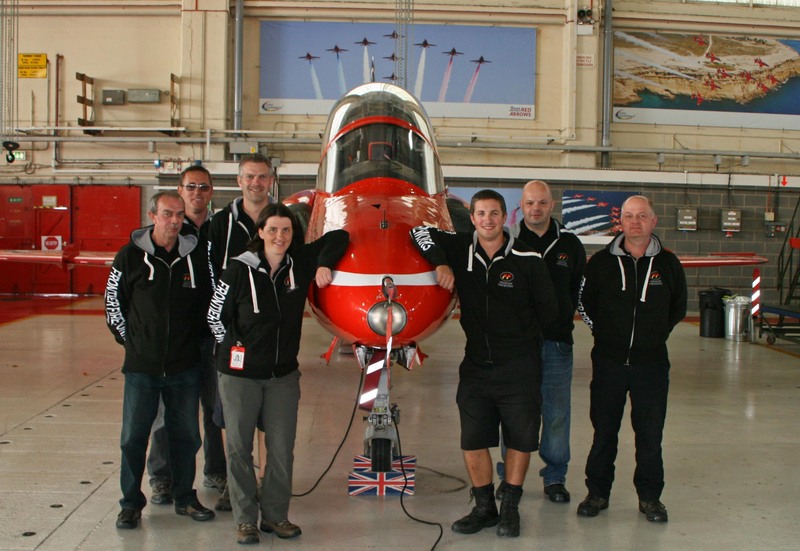 This has been an amazing journey that saw us travelling to meetings and conducting site surveys at RAF Scampton, the home of the RAF Red Arrows. The display was designed for a 10 minute performance with artistic and intricate sequences of red, white, blue and gold. We included a very special lance-work that stated: #REDS50 SMOKE ON……..GO and then we started the display with shells that represented the take off formation of the team. We have a great in depth knowledge of the team as I have always followed the Red Arrows since I was a child. The fireworks display could not have gone any better with us also using a new computerised firing system for a special sequence dedicated to the synchro pair as we fired a very fast paced mine sequence that crossed over in the centre of our firing site. We have become great friends with the Red Arrows team over this very special season and are now partners and friends of the team. After the fireworks display we were very honoured to be invited in to the private Hangar Bash after season party where we all had an excellent time. This was followed two days later by Helen and myself being invited to the Red Arrows black tie guest night at RAF Cranwell for a prestigious night that was amazing. Mike Ling (Red 10) stating on twitter after the fireworks display “Best. Fireworks. Display. Ever. Sees out #Reds 50 at the Hangar Party by Frontier. Jim Turner (Red 1) saying the next day during our de-rig that it was the most personally designed and best fireworks display he had ever seen. Jim also personally thanked us in front of everyone at the Reds Guest Night at RAF Cranwell, a very moving moment for us. Ruth Shackleton (Team Leader) and Andy Morton (PR Manager) saying that our entire team were completely professional and a pleasure to work with. They both said that they had never seen such an amazing fireworks display….ever! We would like to also say that everyone at the Red Arrows took great care of us and they were a privilege to work with right from the start. They looked after us from start to finish and are a shining example of what people can be like in the UK. They are under scrutiny because of costs involved with the existence of the team so please support them when you can. They are brilliant ambassadors for this country and Eclat to the team. We look forward to seeing you all at the Holbrook Club on Friday 7th November! !